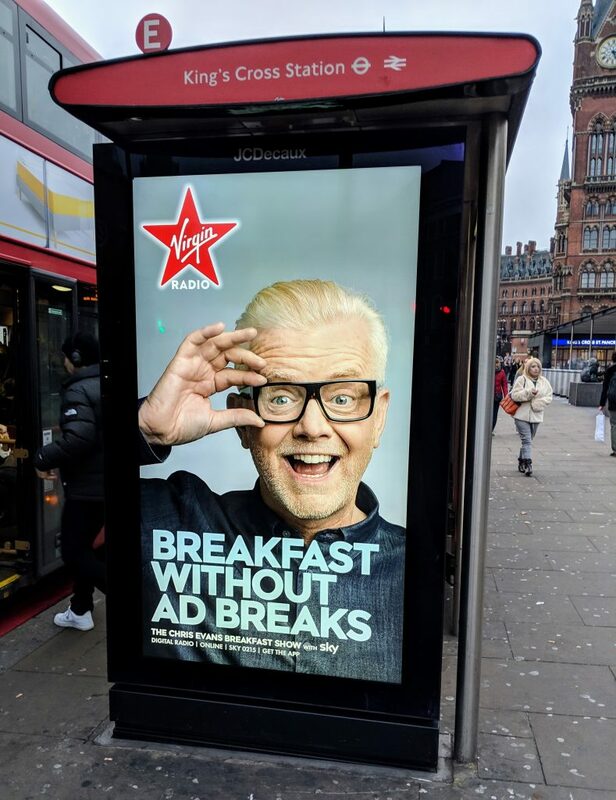 That would suggest that, at least as far as Evans is concerned, that his new breakfast show is not going to be taking ads for quite some time. I’d previously hypothesised that Wireless Group’s strategy of not running advertising spots during the show would last until perhaps August or September this year once the Q2 RAJAR figures had come in. At that point, the show would [probably] be posting decent numbers and advertisers would want to be there. At launch, the only numbers that Virgin has to trade on are so small, that giving up advertising is probably worth it from a marketing perspective. Sponsorship and promotions – or branded content – is a major part of overall commercial radio revenues. It accounted for £110m in 2017. As a result, a number of the leading UK commercial breakfast shows have sponsors – often more than one, if you also consider weather, traffic and travel, and sports sponsorship opportunities. For example, Absolute Radio’s breakfast show has, for many years, been sponsored by Wickes, while Magic’s breakfast show is sponsored by Bensons for Beds. As the poster displayed above shows, Virgin Radio’s marketing is going big on the benefits of being ad break free. The question then, is how is this sustainable? Getting accurate sponsorship revenues is notoriously tricky, and precise figures tend to be closely guarded secrets. 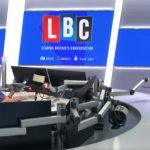 For a big ticket breakfast show with a sizeable audience, a sponsorship deal is likely to surpass £1m a year, although how much it surpasses that figure is going to be down to a lot of other things, not least of which is the size of the audience. Radio advertising executives will create detailed promotional plans that give advertising buyers details of how frequently their messaging will be heard, not only during the show itself, but in other dayparts, calculating the overall audience size. Recall too, that this new incarnation of Virgin Radio has launched a couple of sister services – Virgin Radio Anthems and Virgin Radio Chilled – that will also carry the show. Beyond all that, there will have been discussions about how deeply the sponsorship is integrated into the show, and how the sponsor might be involved in other promotional activity. Interestingly, during Chris Evans’ first show, alongside a multitude of guests that included Cold Feet star Fay Ripley and musician Richard Ashcroft, Evans also had comedians Rob Beckett and Romesh Ranganathan who star in a new Sky One six-parter. They also had a sports guest on the phone, one Gary Neville, a football pundit who is contracted to Sky Sports. These are all quite legitimate guests for any show one way or another, but Sky integration seems likely to feature heavily. How much is Sky paying for all of this? Who knows. It’s rumoured that Wireless Group were out pitching sponsorship of the Evans show at a very high number indeed. A particularly healthy seven figure fee – and certainly substantially more than any other UK commercial sponsorship opportunities. Of course, any good salesperson starts pitching high, so who knows at what price it was actually sold for. But the fact that it was being pitched also suggests that although Sky was until relatively recently a sister company of News UK (owner of Wireless Group and Virgin Radio), Sky’s advertising agency probably still took a close look at what the Evans show is truly worth. It’s also worth noting that for many years, Sky has been a strong supporter of commercial radio, and sponsorship has been a key part of that support. It sponsored Absolute Radio’s breakfast for many years, and has also been a major sponsor on Talksport. Is the show sustainable with Sky’s sponsorship alone, assuming Evans is getting at least as much as the BBC paid him for Radio 2, in addition to the costs incurred in poaching the rest his team from the BBC? If Sky paid even close to that big rumoured fee that Virgin Radio was asking for, then possibly. But Virgin will still need to run adverts across the rest of the station, which may come as a rude awakening for listeners who carry on beyond 10.00am when Eddy Temple-Morris takes over. Indeed it’s notable that Virgin hasn’t [yet] announced any additional big-name talent signings. The much anticipated marketing campaign has begun. There’s a TV ad, which is clever (even if it does bear a certain similarity to a classic 80s comedy film) and London is home to a number of outdoor posters for the show. However, it’s not yet clear how large those campaigns are, and that may take weeks or months to become clear. Probably the biggest marketing initiative thus far has been today’s wraparound of The Sun. As for the show itself? Of course that review logic didn’t stop everyone doing just that with both Lauren Laverne’s and Zoe Ball’s first shows, and it won’t stop those reviews of Evans tomorrow. [Update] See also a great blog from Phil Riley on the economics of running Virgin Radio – and indeed, commercial radio in general. The show doesn’t have to be sustainable. It’s about smashing the BBC. Mr Murdoch has made his money, Comcast/Sky have plenty. I think it’s about values and ideology; politics you might say, not entertainment or revenues. I’m not as cynical as that, and I disagree. Comcast/Sky are a hard nosed outfit who are only spending money because they think it’s worth it. And even the biggest optimist would be hard pushed to see this do any significant damage to the BBC. Rupert Murdoch wants a profit from every business he owns – that’s the driver here.